Loftiss says ‘Make It Work’ Monday:Remind Yourself of your Magicalness! I made it safe and soundly to California! It took us 6 days, 34 hours of driving, pit stops in Birmingham, Dallas, Albuquerque, Grand Canyon, Hoover Dam, and Vegas. But the cat is alive and my fiancé and I didn’t break up on this journey so I chalk this up as a major success!!! This quote was just beautiful. 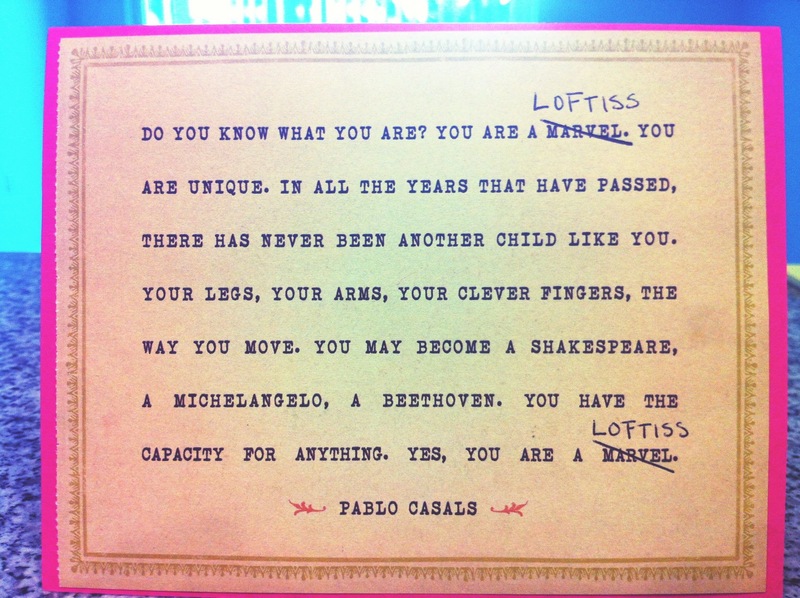 I loved how she crossed out Marvel and inserted ‘Loftiss’. Please read and put in YOUR own name. Print it out, place in your home and read daily. ‘Make It Work’ Monday: Remind Yourself of your Magicalness. Tags: believe, faith, inspirational quotes, Make it work, Make It Work Monday, trust, universe. Bookmark the permalink.